Over the past decade, mindfulness meditation has been shown to improve a broad range of health and disease outcomes, such as slowing HIV progression and improving healthy aging. Yet, little is known about the brain changes that produce these beneficial health effects. New research from Carnegie Mellon University provides a window into the brain changes that link mindfulness meditation training with health in stressed adults. 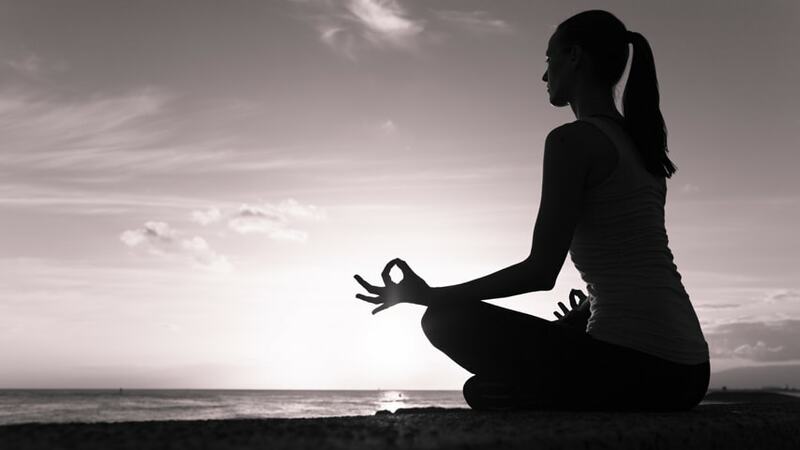 Published in Biological Psychiatry, the study shows that mindfulness meditation training, compared to relaxation training, reduces Interleukin-6, an inflammatory health biomarker, in high-stress, unemployed adults. The biological health-related benefits occur because mindfulness meditation training fundamentally alters brain network functional connectivity patterns and the brain changes statistically explain the improvements in inflammation. “We’ve now seen that mindfulness meditation training can reduce inflammatory biomarkers in several initial studies, and this new work sheds light into what mindfulness training is doing to the brain to produce these inflammatory health benefits,” said David Creswell, lead author and associate professor of psychology in the Dietrich College of Humanities and Social Sciences. For the randomized controlled trial, 35 job-seeking, stressed adults were exposed to either an intensive three-day mindfulness meditation retreat program or a well-matched relaxation retreat program that did not have a mindfulness component. All participants completed a five-minute resting state brain scan before and after the three-day program. They also provided blood samples right before the intervention began and at a four-month follow-up. The brain scans showed that mindfulness meditation training increased the functional connectivity of the participants’ resting default mode network in areas important to attention and executive control, namely the dorsolateral prefrontal cortex. Participants who received the relaxation training did not show these brain changes. The participants who completed the mindfulness meditation program also had reduced IL-6 levels, and the changes in brain functional connectivity coupling accounted for the lower inflammation levels. “We think that these brain changes provide a neurobiological marker for improved executive control and stress resilience, such that mindfulness meditation training improves your brain’s ability to help you manage stress, and these changes improve a broad range of stress-related health outcomes, such as your inflammatory health,” Creswell said. This work bridges health psychology and neuroscience and falls under the new field of health neuroscience, which Creswell is credited with co-founding. It also is another example of the many brain research breakthroughs at Carnegie Mellon. CMU has created some of the first cognitive tutors, helped to develop the Jeopardy-winning Watson, founded a groundbreaking doctoral program in neural computation, and is the birthplace of artificial intelligence and cognitive psychology. Building on its strengths in biology, computer science, psychology, statistics and engineering, CMU launched BrainHub, an initiative that focuses on how the structure and activity of the brain give rise to complex behaviors. In addition to Creswell, the research team included CMU’s Emily Lindsay, April Fairgrieve and Jennifer L. Ferris; the University of Pittsburgh’s Adrienne A. Taren, Carol M. Greco, Peter J. Gianaros, Anna L. Marsland and Rhonda K. Rosen; Virginia Commonwealth University’s Kirk Warren Brown; and Baldwin M. Way of the Ohio State University. The research was supported by the Pittsburgh Life Sciences Greenhouse Opportunity Fund.